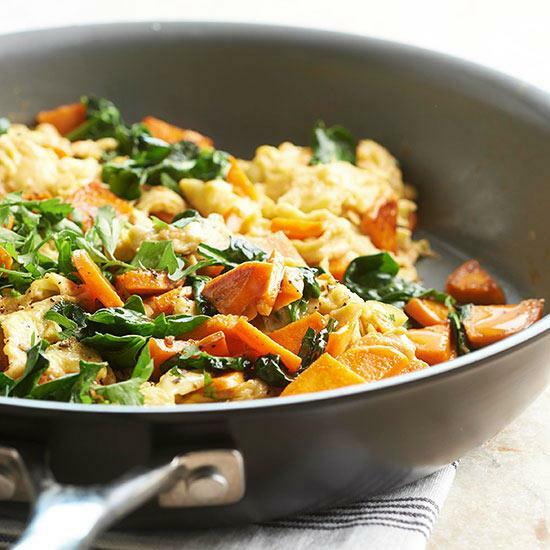 Just One Skillet And 35 Minutes Is All You'll Need To Put This Savory Egg Skillet On The Table. lightly browned and just tender, about 8 minutes. Add spinach. Cook until slightly wilted, about 1 minute. portion flows underneath. Continue cooking for 2 to 3 minutes or until egg mixture is cooked through but still glossy and moist. Sprinkle with fresh parsley. Remove from heat and serve at once. Pass bottled hot pepper sauce.